Echo is a world well known high end deluxe quality and timeless design brand for fashion and home accessories established since early 1920 in the heart of New York City, capturing its vibrancy in gorgeous colors, patterns and textures with superb quality for 98 years. 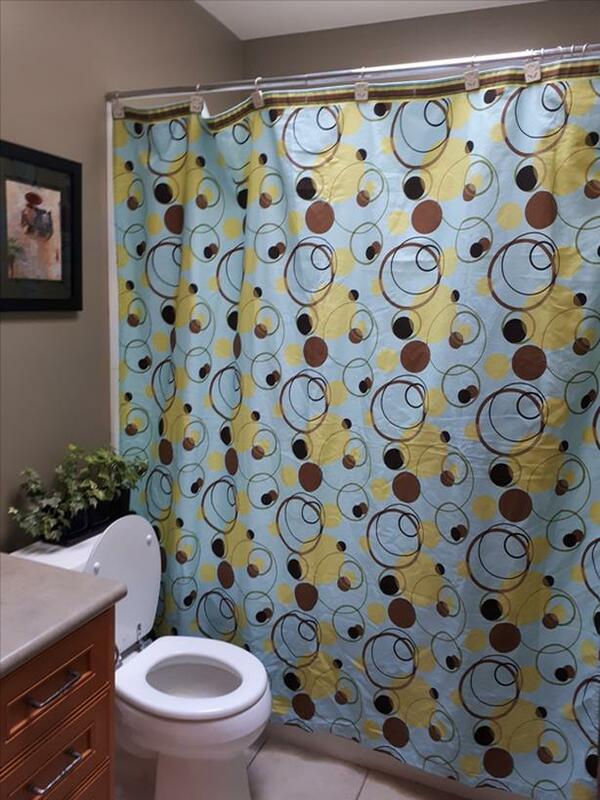 This ECHO deluxe superb quality shower curtain provides a modern retro circle design prints with a sophisticated flair to any decor giving a nice chic look. Made from top quality 100% cotton heavy duty fabric. It is machine washable for easy care and the washing instruction label is still attached.